In December 2011, it was discovered that a minor syntax flaw in the GooglerHunt and DoppSite programs was the cause of this problem. The problem has been corrected in both programs, and the ( zipped ) installation programs on this website have been updated ( 19 December 2011 ) with the corrected GoogleHunt and DoppSite programs. For users who have never before installed the GoogleHunt or DoppSite programs, no action is required and the remainder of this webpage contains useless information... just go ahead and download / unzip / install the current versions of these programs, they will work fine with GE 6.1 as well as 6.0. STEP 2 : Click the ADVANCED SETUP link, which will cause some extra text lines to appear in the browser window. 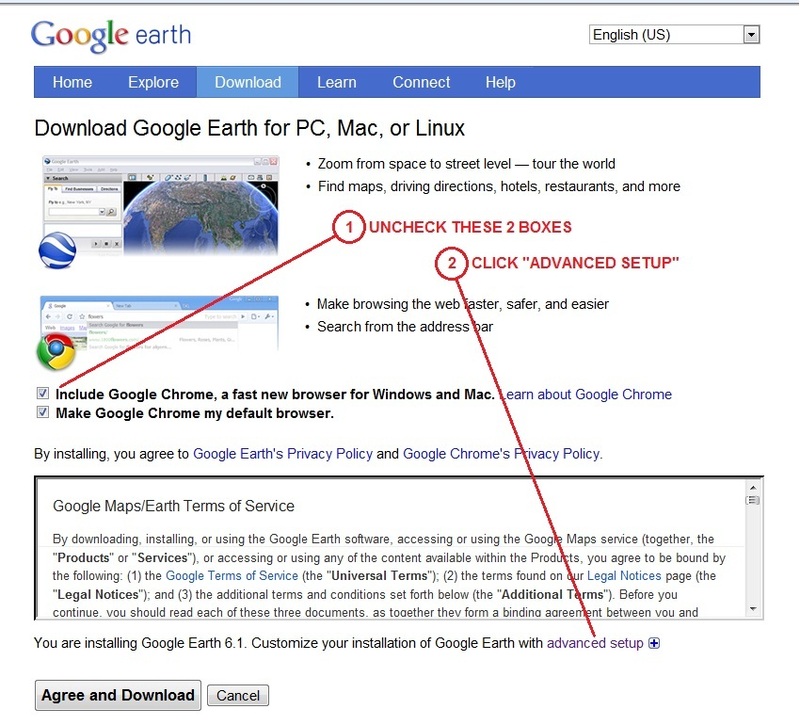 STEP 3 : Once the extra lines appear, click the PREVIOUS VERSION ( 6.0 ) button, to enable a download of the earlier version of GoogleEarth. 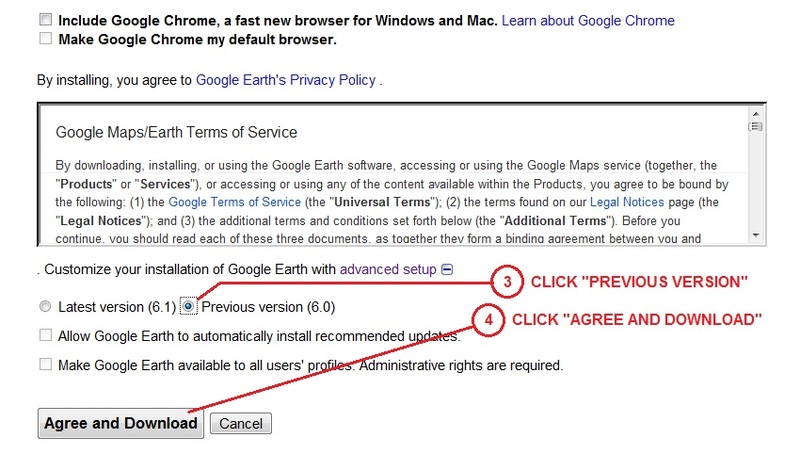 STEP 4 : Click the AGREE AND DOWNLOAD button, which will start the download of the 6.0 version. From that point forward, install the program as you would any other program that is downloaded from a website.